Cool climate site located halfway between the coast and our own estate vineyard, delivers exemplary Green Valley complex-fruit profile. The Dutton family's farming heritage goes back to the 19th century. Great-grandson Warren Dutton Jr. grew up picking prunes and hops on the farm. 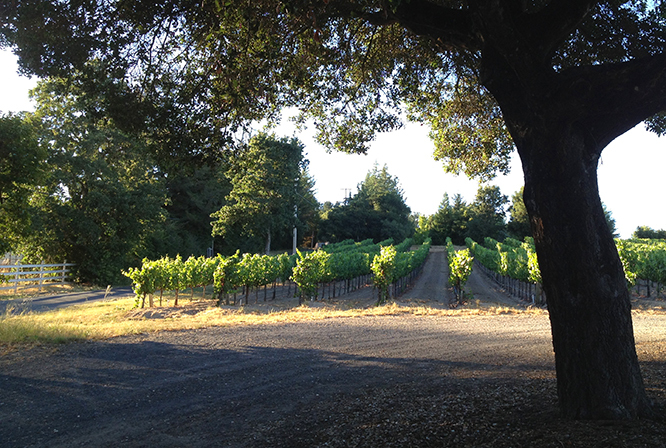 In 1964, Warren and his wife Gail bought their first 35 acres west of the town of Graton. In the early days, most people knew the Duttons for their fruit stand, where Gail and sons Joe and Steve peddled pears, prunes, apples, dried fruit and gift packs to passing motorists. At the same time, Warren had the foresight to plant wine grapes just prior to the downturn in the apple industry. 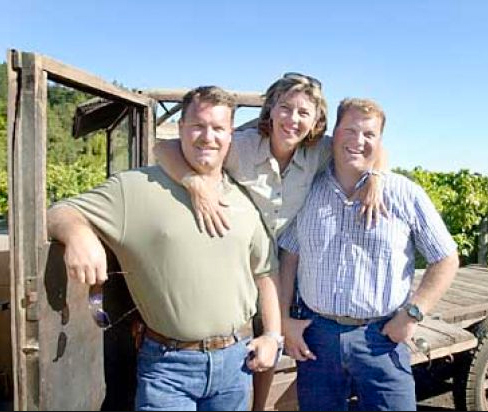 Although Warren died in 2001, Gail and sons Steve and Joe Dutton continued the family vision and farm 1,300 acres; 1,100 acres of grapes and 200 acres of CCOF Certified Organic apples predominately within the Russian River Valley appellation. 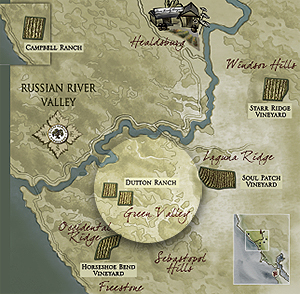 We pick from two neighboring blocks in the Green Valley appellation. The first, Dutton-Campbell, planted in 1990 in Goldridge Fine Sandy Loam; the second, Dutton-Thomas, planted in 1998 in Sebastopol clay loam soil.